New Zealand is a country like no other, and its wine is an experience like no other. The special combination of New Zealand soil, climate and water, the pioneering spirit and commitment to quality all come together in every glass of New Zealand wine. 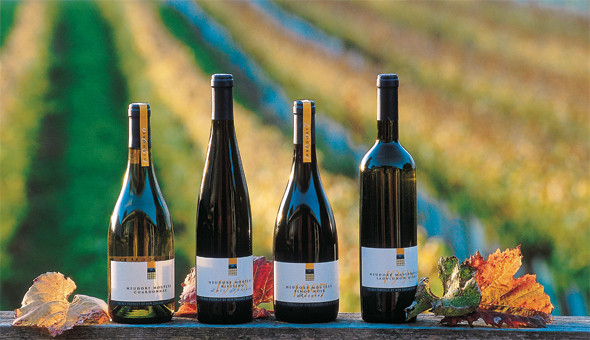 These wines are known throughout the world for their purity, vibrancy and intensity. New Zealand is home to what many wine critics consider the world’s best Sauvignon Blanc, and is often called the New World’s utopia for Sauvignon Blanc, marrying old world wine-making traditions with the vibrancy of exotic aromas from the New World. The country boasts distinct major wine-growing regions spread throughout the country, with the majority located on the East coast of the South Island. Wine lovers will find this land of the Kiwis to be ?an enchanting destination, with beautiful vineyards and enchanting landscape ?a natural backdrop to all your activities, paired with excellent food and magical wines. In the 1980s, the Marlborough region was hailed as the producer of arguably the world’s best Sauvignon Blanc. Now the region has strengthened its reputation as New Zealand’s premiere wine-growing region, producing some excellent Chardonnay and Riesling as well as a fast-rising reputation for high quality Pinot Noir. 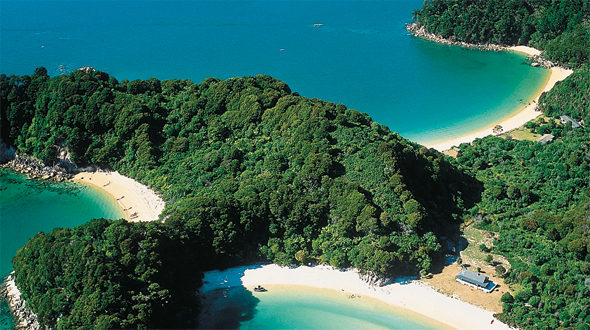 Located in the north-eastern corner of New Zealand’s South Island, bounded by the Pacific Ocean to the east and towering mountain ranges to the north and south, Marlborough boasts a diverse landscape of spectacular natural beauty. The city of Blenheim is the heart of Marlborough, just a short drive away from the beautiful Marlborough Sounds. Most wineries can be reached easily from Blenheim, although the area of land under cultivation is rapidly spreading. Marlborough boasts more than 9000 hectares of vineyards, spreading across the landscape onto the river flats of Rapaura district, west to the Waihopai and lower Wairau and further south into the Awetere Valley. The Marlborough Wine and Food Festival is an annual showcase for the region’s bounty, drawing people from all over the world to taste and see for themselves the excellent produce. 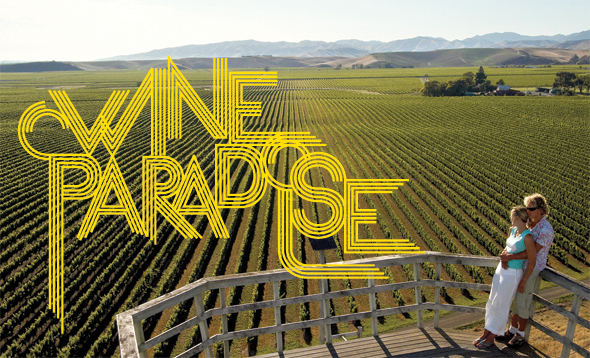 Held on the 2nd Saturday in February, the 2011 Festival sees more than 8000 wine and food lovers converge at one of the oldest vineyards in Marlborough – Brancott Estate. Located at the top of the South Island next to Marlborough, Nelson is one of the fastest growing regions in New Zealand. The region is often overshadowed by its more prestigious neighbor, but Nelson boast one of the best scenic landscape and spectacular scenery in the country. Nelson enjoys a lot of sun, and is a paradise for a relaxing counterculture lifestyle – painters, artists, foodies and wine lovers. 25 boutique family-owned wineries have banded together to form Nelson WineArt, combining the experience of touring arts and crafts studios with sampling the best local produce and wine. It’s thriving cafe culture, with its al fresco dining and brilliant fresh seafood merge together to create the quintessential Nelson experience. Historically Canterbury was one of the first regions to attempt wine growing in the 1940s. French immigrants planted vineyards in Akaroa Peninsula, taking advantage of the warm dry north westerlies which frequents the Canterbury plains. The vast Canterbury plains sweep from the magnificent Souther Alps of New Zealand to the east coast of the South Island, providing an ideal climate for wine-growing. The heart of Canterbury is the picturesque Christchurch, with most of the wineries located within short driving distance from the city. The major wine areas of Canterbury are the Banks Peninsula, located around the city of Christchurch, and the more recently developed valley area of Waipara, with Chardonnay and Pinot Noir making up the most widely planted grape varieties here. The region of Central Otago is New Zealand’s highest and the world’s most southerly wine region. It is surrounded by mountains and interlaced with lakes and deep river gorges, with the spectacular Queenstown at the heart of the region. Central Otago boasts stunning scenic landscape which makes it a popular destination for all kinds of tourists. The mountainous location provides a semi-continental climate with stark difference between the hot summers and very cold winters, hot, long summer days and dry autumn. This provides an excellent growing conditions for varieties like Pinot Noir and Riesling. The wines of Central Otago boasts a purity, intensity and vibrancy reflective of the region’s territory and pure mountain air. Looking for fun and relaxation? Check out Cancun holidays for a vibrant and exciting night-life, great shopping and all the beach and water-sport you could ask for.